Stanford University appears in our ranking of the 30 Best Online Schools for Graduate Degrees. More than 7,000 students major in more than 60 subjects at Stanford University every year. The university offers both Bachelor of Science and Bachelor of Arts programs as well as a few joint programs. Those programs allow students to study two different or related subjects and complete a degree in each one. They can also enroll in programs that help them earn their undergraduate and graduate degrees in no more than five years. Stanford also allows students to design their own majors with the help of an advisor who will make sure they complete all university requirements. The majors that undergrads can choose from include both research and more traditional subjects. They can study anthropology or art history and earn degrees in biomedical engineering and other areas of engineering. French and Korean are just two of the language majors available also. Most language programs encourage students to study abroad in one of those countries too. Graduate students can choose from more than 90 different program options too, which are available from all the colleges and departments that make up the university. Its Graduate School of Education offers curriculum studies and teacher education and learning design and technology programs. The School of Engineering offers a chemical engineering program and majors in fields such as mechanical and electrical engineering. Students can also major in more traditional subjects such as English, political science and history through the Stanford University School of Humanities and Science, which offers nearly 40 different programs. Stanford offers online graduate degrees in multiple disciplines, such as engineering, education, humanities, and business. One of the more unique offerings is the graduate certificate in the Internet of Things. 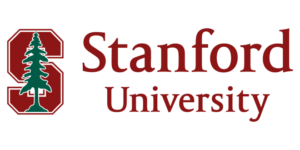 Stanford University is a private university in California known for its research programs. Leland and Jane Stanford established the university in 1885 as a way to honor their deceased son. After passing away before he had the chance to attend college, they wanted to open a new school in his memory that would offer opportunities for different types of students. The official name of the school is the Leland Stanford Junior University, though most call it either Stanford University or just Stanford. Some also refer to the campus as The Farm. The university is so well known that it ranks as one of the top branded schools in the world. Washington Monthly ranks Stanford as the best American College, but ARWU, Forbes and U.S. News and World Report rank it as one of the top five colleges in America. Those same groups and others also rank Stanford within the top five colleges operating in the world today. Many of its research programs also rank highly, including those in psychology and engineering. Students can work with their professors, on their own and in small groups to create on various research projects. Stanford University is one of the most selective schools in the nation an has an enrollment of more than 16,000 students. The Western Association of Colleges and Schools (WACS) accredits colleges in the western United States and granted accreditation to Stanford. It also renewed the university’s accreditation every 10 years. Stanford has accreditation from the American Bar Association (ABA) for its law school and legal programs and from the APA for all its psychology programs. It also has accreditation for its engineering and computer science programs as well as all of its business programs. With an acceptance rate of just 5%, Stanford ranks as one of the five most selective schools in the nation. It has an even lower acceptance rate among some of its graduate programs. Undergrads come from all across America and from more than 70 countries. The early action deadline for undergrads is November 1, while the standard deadline is January 2. Arts students must submit their applications even earlier in the year. Those who apply by the early action deadline must agree to attend Stanford if the university accepts them. Students can use either the Common or the Coalition application, but they must pay a $90 application fee or apply for a fee waiver. They will also submit either a letter of recommendation from a high school guidance counselor or a school report, an official transcript and then a mid-year report that they will submit in February. This allows the university to see the grades the student received after applying to college. Stanford asks that undergrads submit two letter of recommendation from their high school teachers too. The requirements for prospective graduate students are very strict too and also include both the online application and its fee. Most departments and programs ask for letters of recommendation and suggest that students use both academic and professional references to submit letters for them. Those students will also submit a score from the GRE or the equivalent test required by a department and a professional resume. Most programs ask for a writing sample or a personal statement too. The personal statement should explain what the student hopes to get out of Stanford and any reasons he or she has for choosing that university and program. Both undergrads and graduate students attending Stanford full time pay the same amount in tuition. Undergrads pay $16,901 per quarter. Graduate students pay the same rate and can take 11 to 18 credits for this amount. Those who take between eight and 10 credits will pay $10,990 per quarter. Some of the graduate programs charge higher tuition rates, including those in engineering and business. The university reduces the tuition rate during the summer sessions. Stanford asks that students use the FAFSA and create an online profile. It uses the information shared on that form and in the profile to determine how much financial aid the student needs and whether he or she will qualify for any federal or institutional aid. California residents can use a state grant to cover some of their costs, and federal grants are available for undergrads from California and other states. Stanford tries to create financial aid packages that cover a student’s estimated cost without loans included. Those who need more money can still take out those loans though. There are also scholarships that go to worthy students. The university provides scholarships to students based on need or merit on a case by case basis. Some students may qualify for arts or athletic scholarships too. Stanford University also offers scholarships for select majors too.